It is the vision of the Senior Pastors at Shepherd of Love that people’s lives be changed as they come in contact with a very personal God, through a relationship with Jesus Christ. In Jesus Christ's virgin birth, His sinless life, His atoning death, His bodily resurrection, and His ascension to the right hand of God the Father. All have sinned and our only means of being cleansed from sin is through the blood of Jesus Christ. Man is justified by faith in Jesus Christ, apart from works. Jesus Christ redeems us and provides healing for the whole man: spirit, soul, and body. In remembering our Lord's death through communion. In water baptism, identifying with the Lord's death, burial, and resurrection. The Holy Spirit has been given to the Church to bring spiritual growth and renewal. Pastors Al and Reva grew up in separate communities in the southeast corner of Nebraska. Marrying in 1960, they moved to Arvada, Colorado in 1961. In 1965 Pastor Al built their first home together in Broomfield. Three daughters and a son were soon added to their family circle. In the late 1960s Pastors Al and Reva would join others in ministry to the “hippies” in the city of Boulder, Colorado. The Lord transformed many lives through this anointed effort. In the early ‘70s, they opened their door to form a home fellowship. Believers from all over the metro area gathered on Friday evenings for Bible Studies and a personal touch from the Lord. In 1982 a board of directors was created, and Shepherd of Love Fellowship became incorporated in the State of Colorado. Over time the growing home church moved to various locations for their meetings, culminating in the purchase of land on the corner of 136th & Lowell Blvd. and the subsequent construction of the current building. With his years of experience building custom homes, Pastor Al acted as general contractor and worked alongside members of the congregation to build the church. Carole thoroughly enjoys working for the church in her role as an associate pastor. Prior to pastoring, Carole worked as a registered nurse at Saint Joseph’s Hospital in Denver. She believes that she was called to nursing to care for people physically, and she is now called by God to care for the spiritual needs of those searching for more of Jesus. Her passion for encouraging and strengthening the Body of Christ is a wonderful asset to our church. Pastor Carole seeks God and provides the lesson material for our fall and spring Small Bible Study Group sessions, and leads one of the Small Groups herself. She is invaluable to the congregation in her counseling ministry, and assists in teaching the Adult Sunday School class from time to time. Watching believers grow spiritually is a primary vision Pastor Carole holds for our body of believers. In addition, designing fantastic activities for multiple age groups, where people can be encouraged and supported in Christ, is her delight. Mapping out and coordinating fabulous trips all over the United States for various age groups, is also a hobby she is passionate about. She and her husband David reside in Broomfield, and are the parents of three beautiful daughters. Cathy discovered her love for music at a very young age. From the first time she sat down to try her hand at the piano, she remembers feeling a spiritual connection to the Lord through music deep inside. In earlier years, she also played the saxophone and flute, and majored in voice during her college years. With a degree in Behavioral Science and Elementary Education, she worked for Adams 12 Five Star Schools as an elementary teacher for 8 years. Eventually, she moved out of her teaching career to join the team at Shepherd of Love Fellowship. 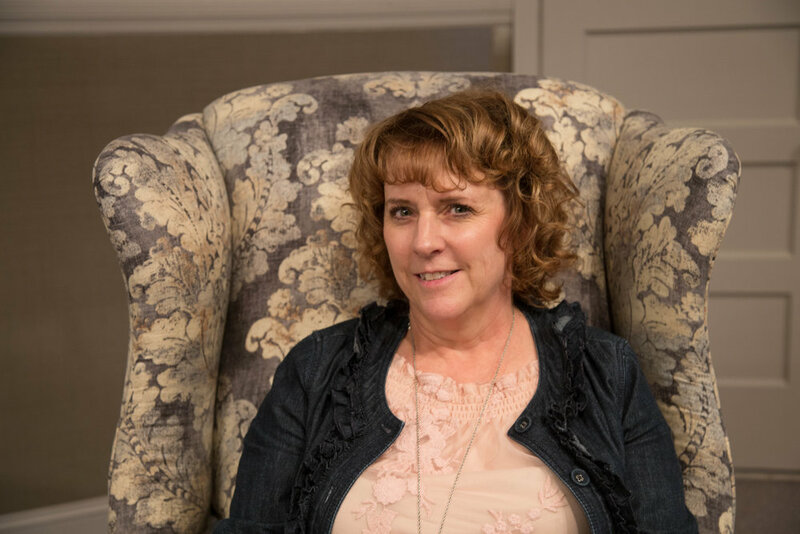 Cathy has written and produced many plays and melodramas, inspiring church members to work together to perform them for the community. She directs choirs for special events and holidays, and oversees our Youth Camp outreach every June. She leads a Small Group Bible Study and helps organize many church wide events, such as baptisms and special services. Cathy enjoys being “mom” to her two energetic boys, and is grateful God called her to serve in the same community where she grew up. Interested in where Shepherd of Love began?